When I first decided that I wanted to go to graduate school for marine biology, I was asked time and time again “why was I going to the Delaware coast to study tropical coral reefs?”. My initial answers were typically “That’s who offered me a position” or “It doesn’t matter where I get on a plane from.” As true as those statements were, I should have simply taken the time to explain the concept of a model organism and how its use in the lab can help us understand some of the processes relevant to more complex systems. Model organisms are species that are extensively studied to understand a specific biological phenomenon. In this case, the biological phenomenon is the cnidarian-dinoflagellate symbiosis, with the anemone Exaiptasia pallida, as the cnidarian species. The cnidarian-dinoflagellate symbiosis is the relationship responsible for the health and success of many coral reefs. This mutualistic symbiotic relationship in which both species benefit, consists of intracellular symbiotic algae and a cnidarian host, in this case a coral. Exaiptasia pallida is a symbiotic anemone, meaning that it too hosts symbiotic algae within its tissues, but unlike corals they do not have a calcium carbonate skeleton. This makes E. pallida an ideal model organism for studying certain aspects of the symbiosis that can help us better understand corals with some considerations. First, and foremost, E. pallida is related to tropical reef-building corals and host the same family of algae, Symbiodiniaceae. Although they host the same family of algae, E. pallida can survive indefinitely without algal symbionts as a source of energy, unlike corals. This facilitates the study of symbiosis establishment and allows us to create different combinations of anemone-symbiont pairings by exposing the aposymbiotic anemones to different strains of algae. Additionally, Exaiptasia is easily maintained in the lab and reproduces both sexually and asexually. Varied reproduction modes facilitate studies focusing on larvae and gene flow within populations. The lack of a calcium carbonate skeleton also makes it possible to use fluorescence microscopy for looking at the intact symbiosis. Figure 1 shows a microscope image of symbionts residing in the tentacles of a live E. pallida host. The symbiosis between algae and E. pallida is also susceptible to the same stresses that cause bleaching on coral reefs such as temperature. Baumgarten, S., et al. The Genome of Aiptasia, a Sea Anemone Model for Coral Symbiosis. Proceedings of the National Academy of Sciences of the United States of America 112.38 (2015): 11893-98. Eyre, B. D., et al. Coral Reefs Will Transition to Net Dissolving before End of Century. Science 359.6378 (2018): 908-11. Hoadley, K. D., et al. Differential Carbon Utilization and Asexual Reproduction under Elevated PCO2 Conditions in the Model Anemone, Exaiptasia Pallida, Hosting Different Symbionts. Limnology and Oceanography 60.6 (2015): 2108-20. Mason, Robert A. B. Decline in Symbiont Densities of Tropical and Subtropical Scleractinian Corals under Ocean Acidification. 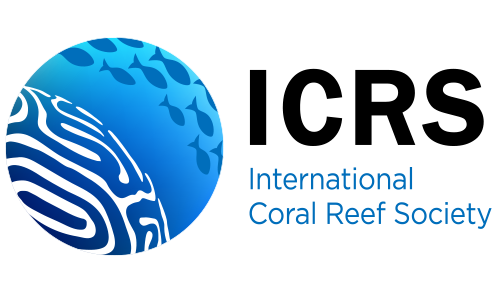 Coral Reefs (2018). Weis, V. M., et al. Cell Biology in Model Systems as the Key to Understanding Corals. Trends in Ecology & Evolution 23.7 (2008): 369-76.